Kinn’s Sport Fishing is a full-time charter fishing service, operating eleven large tournament-rigged boats seven days a week. 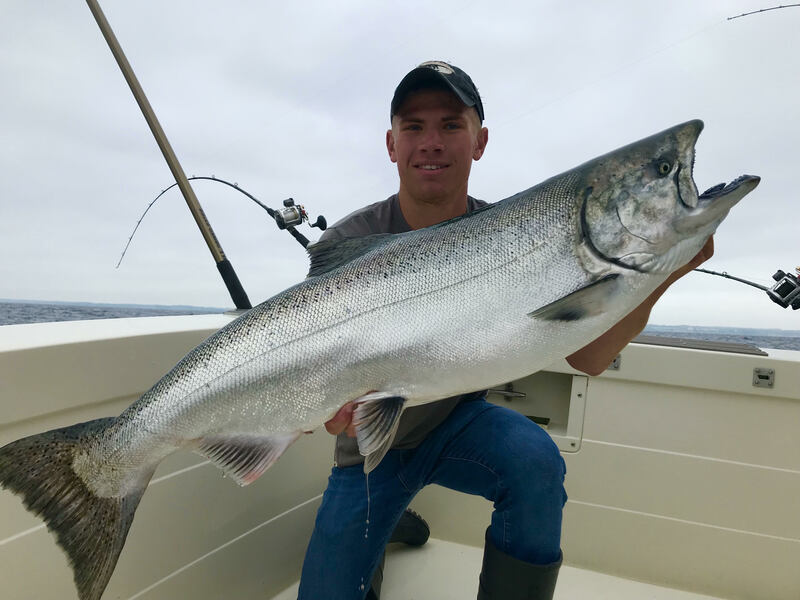 We pride ourselves in providing the best salmon fishing experience at the most reasonable rates, and carefully survey all of Lake Michigan’s 22,000+ square miles to pinpoint the most productive fishing grounds. In addition, we own and operate twelve fully-furnished luxury lakefront condominiums. These condos include amenities such as fully furnished kitchens, barbecue grills, flat screen tv’s, free wifi and are conveniently located right on Lake Michigan’s western shore. Our entire staff is fully trained, licensed, and insured, and they are all eager to ensure you have the most successful trip possible! Our goal is to provide you with a memorable experience. Past guests have commented on how remarkable their trip has been, and overall satisfaction has led to an astounding 74% customer return rate. We accommodate both large corporate functions and small groups, families and couples, and strive to assure guests leave as both friends and satisfied customers. Thank you for your interest, and we look forward to booking with you! Happy New Year from all of us at Kinn’s Sport Fishing!! While many of you are enjoying hard water fishing here at Kinn’s we are ambitiously working towards ice out and are looking forward to another year servicing our new and loyal customers! 2018 was definitely the year of the 30’s, from springtime 6 man limits in Winthrop Harbor, 30in plus Green Bay Walleyes, to line peeling Algoma Kings. We can honestly say these are by far the healthiest fish we have seen in decades. 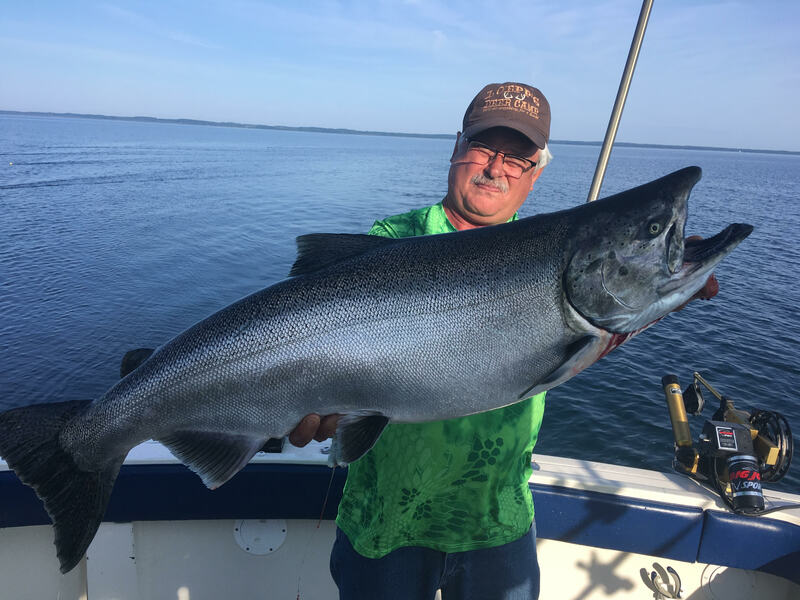 Whether you are looking for guaranteed limits of coho, Door County Walleyes, or Rainbow Trout and King Salmon we have the perfect package for you! The springtime fishing on Door County’s eastern shore provided excellent fishing for both pre and post spawn walleyes. While the ice tried to hold on till May 1st once it let loose so did the fish! Come enjoy the industry’s only fleet that accommodates up to 6 people in fully enclosed salons while fishing under the stars! Condo lodging is included in all walleye packages. 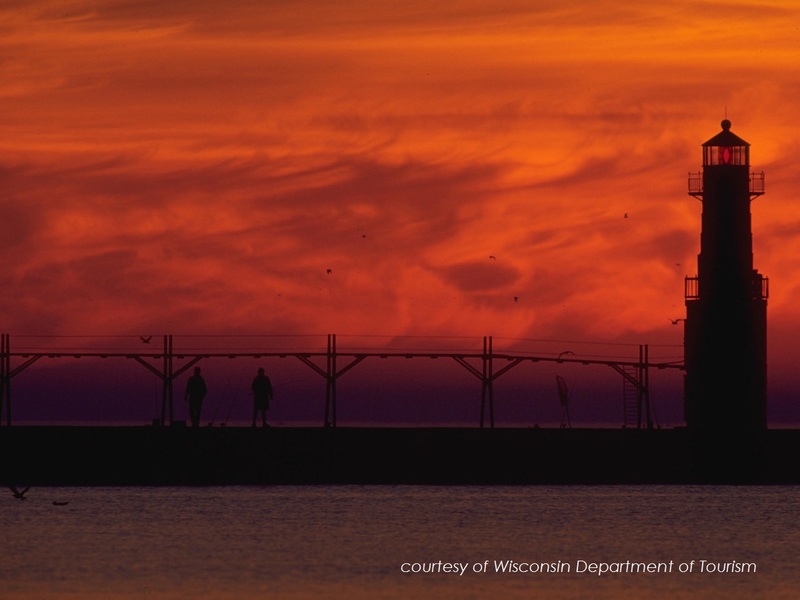 Come see what Door County has to offer… Wine, cheese, and Walleyes!! Once again Winthrop Harbor provided the most consistent fishing of the year. 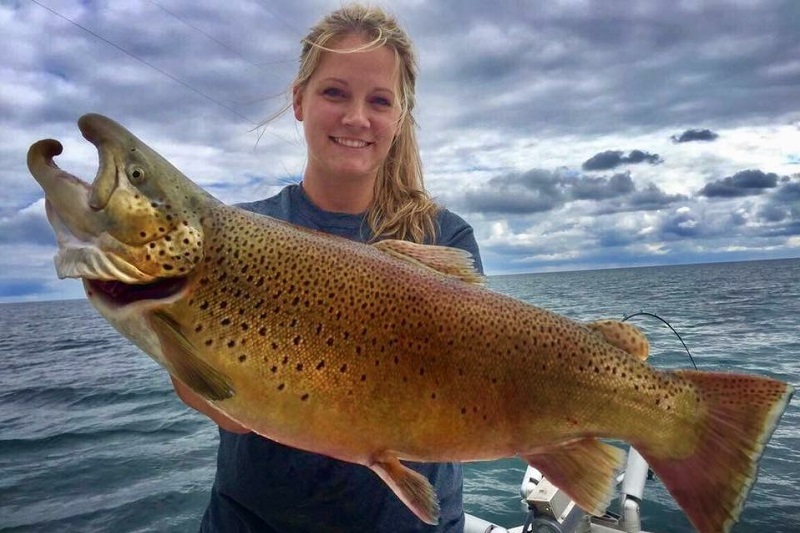 If you want limits of the best eating fish Lake Michigan has to offer, then look no further. Bright red coho fillets and limit catches insure a fun and successful trip! Guaranteed Limit packages are available for our clientele the month of May. Book fast as these very limited dates fill fast! 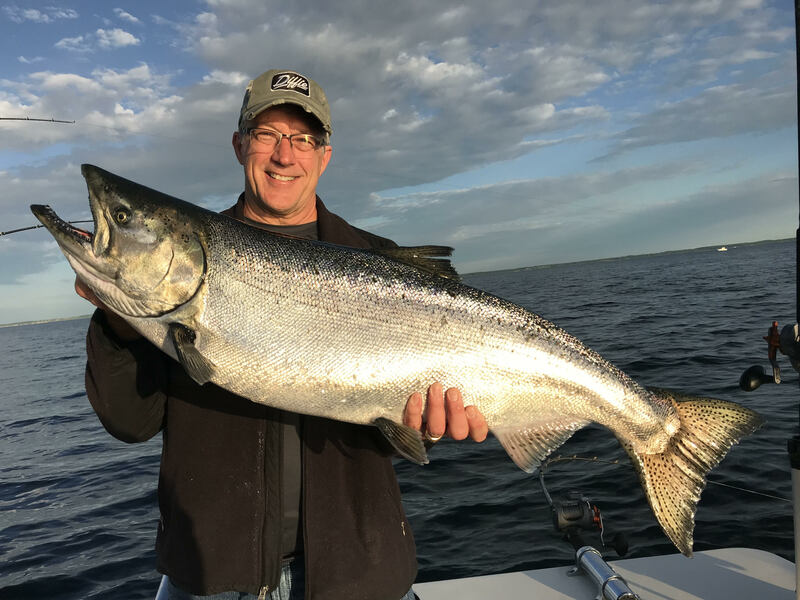 Our home port of Algoma proved once again that there is simply no better place for the largest fish Lake Michigan has to offer! Leading the lake once again in Rainbow Trout and King Salmon, Algoma continues to live up to its reputation of big, big fish! 2018 rivaled the 80’s and kept local taxidermists extremely busy! The Kinn fleet placed 2 fish in the top 10 lakewide Salmon O’Rama derby and Cooks Catch II placed first in the highly touted Masters division! The Battalion I caught a 34.7lb mammoth the day before the tourney that would have taken the $25,000 top prize! Lots on tap for Algoma in 2019! 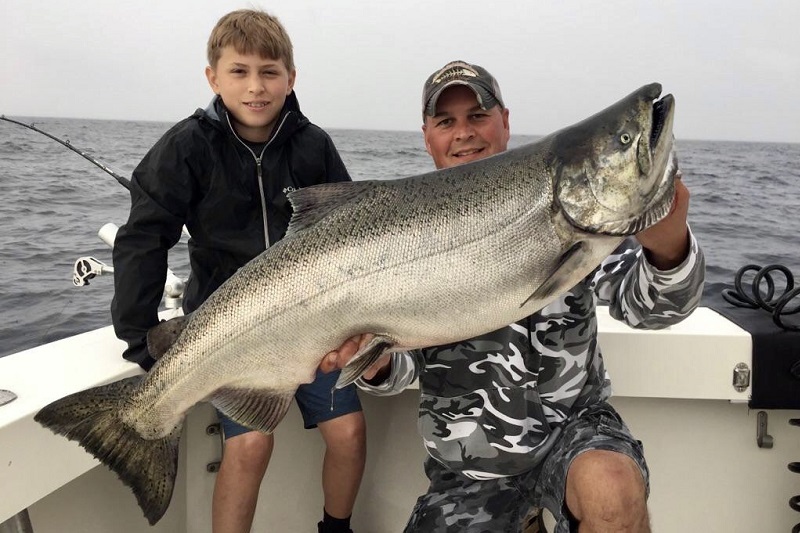 If u want the chance at a fish of a lifetime, our backyard “Algoma” is simply your best chance at catching that trophy fish! 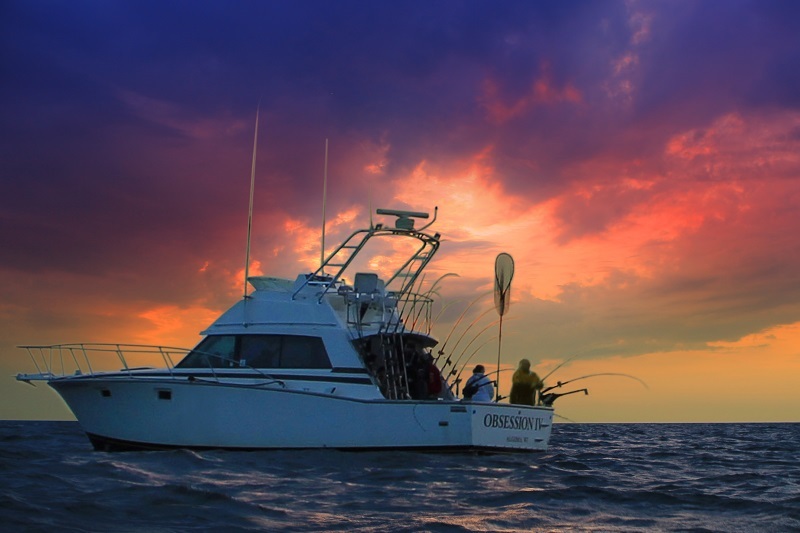 Check out our “100lb Guarantee” this is quickly becoming our most sought after trip! As you can, see we simply have it all for our customers to enjoy! Although we did find it necessary to raise our rates a little this year, I think you’ll find that when you read our literature & compare our rates to others, that we still offer the best overall value in the industry. Please keep in mind that offering high quality, successful trips simply is not cheap. 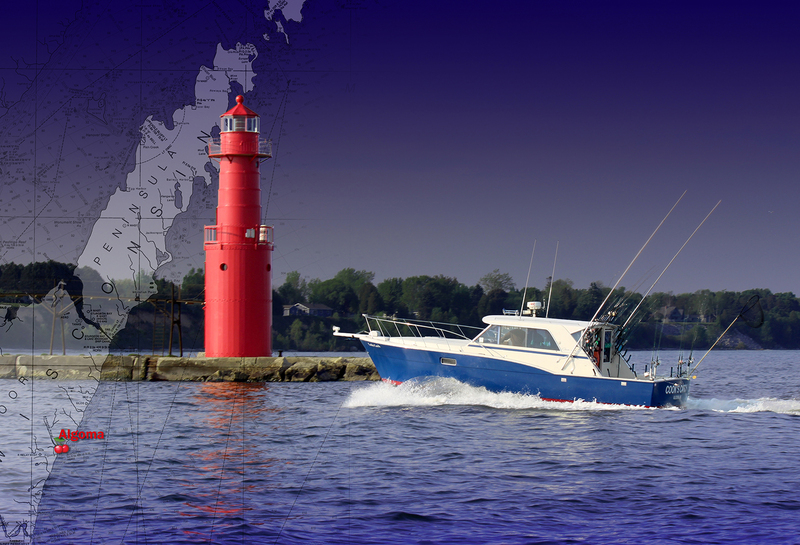 Lake Michigan is a “big lake” and there is simply no substitute for “Large” well equipped modern boats, with experienced professional captains. In just a couple months we begin our sport show season and cannot wait for spring of 2019! We look forward to seeing you all on the water soon! Kinns Sport Fishing shared a link.